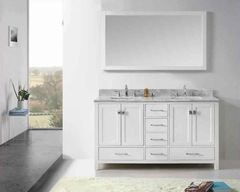 The Conway Collection is a breath of fresh air for your bedroom. The design and finish give any bedroom a relaxed, rustic feeling; the kind that one gets from being out in the fresh, open air. The unique bandsaw-effect brown complemented by deep black tones, give the collection a distinct contemporary look and the simple, short detailing create a cool, calming feeling in the room. 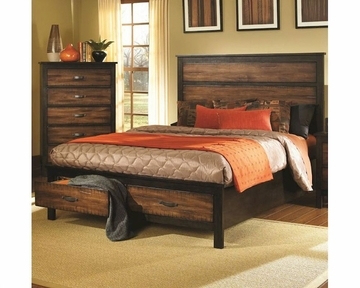 Give your bedroom a very natural and earthy feel with this bed. A distinct bandsaw-effect brown finish proves the bed to be pure and calm and the deep black tones pull the bed together pleasantly. The bed features two storage drawers located at the foot of the bed which are great for storing blankets and linens, books, DVDs and many more items!